Borton Fruit’s 2014 Apple & Pear crop are coming along nicely. 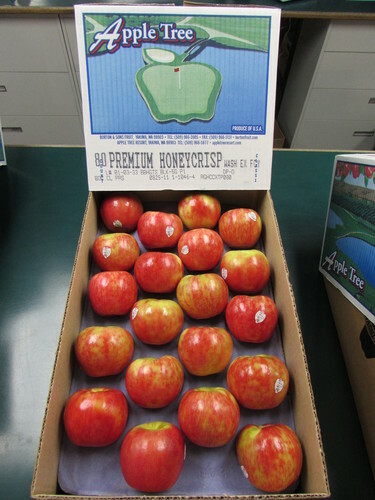 In addition to the Ginger Golds and Bartlett Pears, Borton Fruit has started packing some Starkrimson Pears, Gala Apples and Honeycrisp Apples. “We started packing Galas August 18th and have been very pleased with the general quality of the fruit. 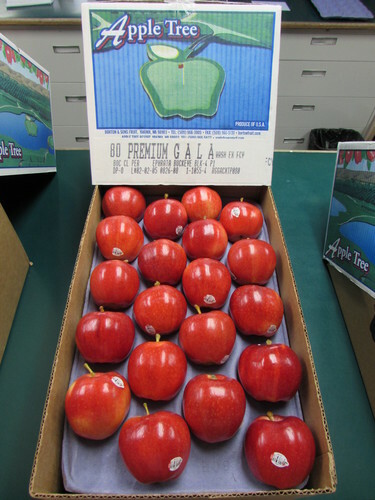 The apples are crunchy, have good sizing, and all lots have consistently produced great color and pressures so far,” States Chad Chronister, our Quality Assurance Manager. Borton’s has a full packing schedule ahead to generate a manifest on these, don’t hesitate contacting your salesman for inquiries. We received our first bins of new crop Honeycrisp Apples over the weekend and as always, the excitement level has increased around here. “The apples look great! Many of the apples have good, red color. The crop as a whole so far has shown to have very few defects,” States Chad. Borton’s will be packing Gala and Honeycrisp Apples at the main plant until we have more new crop varietals come off the trees. Contact your Borton sales rep for inquiries!